IB Biology: Intestine Structure & Function. After learning to draw an annotated diagram of the digestive system students extend their understanding by looking at details of intestine structure and how they relate to function. This includes identification of muscle layers, mucosa and epithelium as well as villi which help absorbence of nutrients. 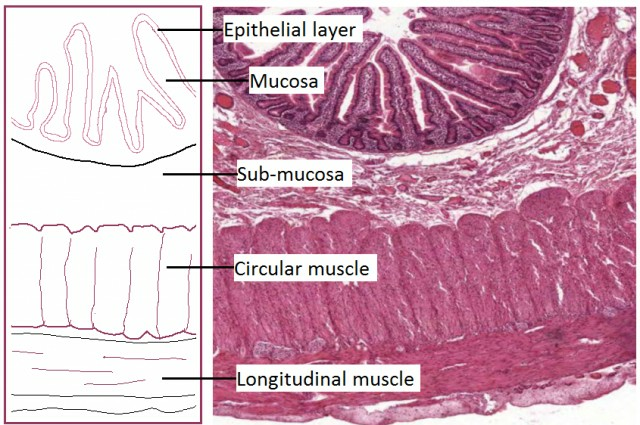 There is an open-ended assessment task to finish the lesson.What happens after food is digested in the small intestines?